World-renowned and recognized within the medical community for its exceptionally high antibiotic properties, active Manuka honey is New Zealand's most highly sought after medicinal honey, and perhaps world's most researched honey. UMF is not found in the nectar of all Manuka flowers. Ordinary manuka has only the hydrogen peroxide antibacterial property which is common to most types of honey, whereas Active Manuka has both the natural hydrogen peroxide antibacterial property and its own natural antibacterial property, giving it an extra antibacterial and antifungal. potency. All our Manuka honey is of superior quality (and with big discounts off retail prices). Every bottle is 100% New Zealand produced and sourced. Those with a UMF label are licensed by UMF®, the registered trademark of the UMF® Honey Association of New Zealand (UMFHA) which sets and monitors the stringent standards of UMF Manuka quality. 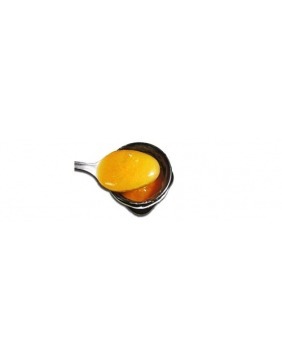 ☛ Read more on Manuka honey and its uses in: https://www.benefits-of-honey.com/manuka-honey.html and on why UMF labeled Manuka commands a much higher price than Active, non-UMF labeled Manuka in: https://www.benefits-of-honey.com/umf-manuka.html and https://www.benefits-of-honey.com/manuka-umf.html. Description: Using only natural colours and allergen free frangrances, this vegetarian-based body and facial soap naturally cleanses, tones, moisturises and keeps the skin clean and supple. Suitable for all skin types. 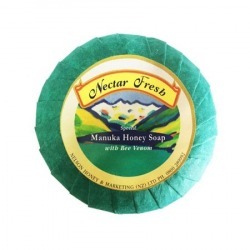 Combined with Manuka honey and propolis, ingredients that have been revered for their exceptional healing agents and antibacterial properties for centuries, this natural antibiotic soap also helps relieve acne and troubled skin ailments. 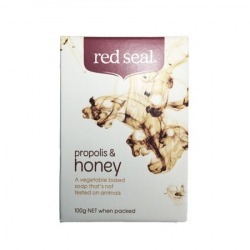 Free from sodium lauryl sulphate and harsh chemical additives, this soap is brought to you by highly regarded and trusted New Zealand brand, Red Seal. 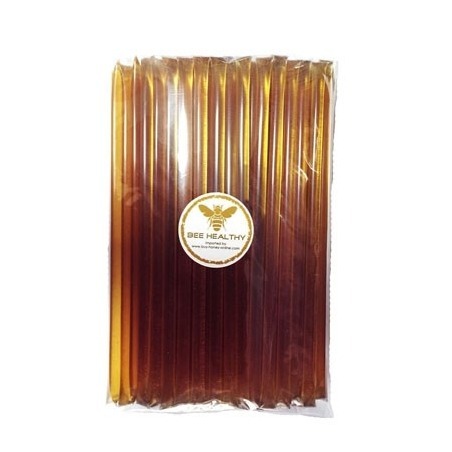 Other Remarks: Known as “bee glue” and “nature’s best defence”, propolis is the sticky resin or sap collected by the bees from plants, combined with beeswax and their enzymes, and used for reinforcing the construction of their hives and keeping them free from bacterial and viral infections. Its natural antibiotic, antiviral, anti-fungal properties and high concentration of flavonoids have been identified by scientists to have potential anti-inflammatory effects.